Here at I Gas Direct we stock a range of different LPG boiling rings in a selection of different sizes. 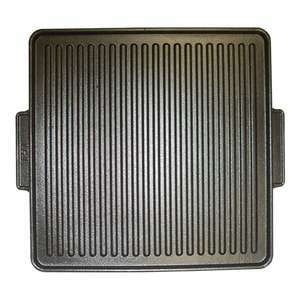 The cast iron burners are ideal for outdoor cooking and outdoor catering. Please see our boiling ring hose regulator kits to find the right regulator for your needs. 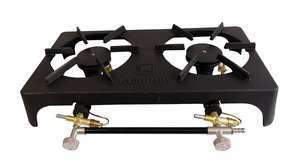 A gas boiling ring or gas stove is a cooking appliance that uses either propane or butane LPG as a fuel source. The LPG gas requires a gas regulator to reduce the cylinder pressure down to a small trickle, with a pressure between 28mbar to 37mbar. The gas then passes through the inlet valve of the boiling ring and mixes with the air from the air intake, which is the open section (usually a few centimetres wide) of the boiling where air can safely mix with the gas. The amount of air mixed with the gas is important since this allows enough combustion for a blue flame to be produced, without this air intake only a yellow flame would be produced. Once the gas has mixed with the air it then passes though the burner jets and is ignited. Our range of LPG boiling rings either require a spark/flame to ignite or they have a piezo ignition on the boiling ring itself. 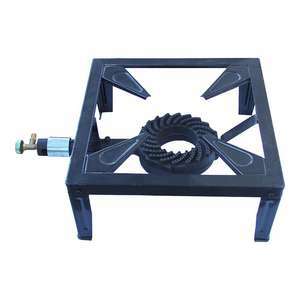 These gas boiling rings are mainly used outdoors for camping or for outdoor catering, this is due to the portability of the gas burner and the gas cylinder itself. We also stock a boiling ring with a flame failure device (FFD) or flame supervision device (FSD), this is a safety device which detects if a flame is present on the boiling ring. 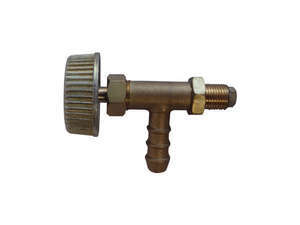 If there is no flame then the device will shut off the gas supply, this type of safety device is very important and is a requirement for certain applications. 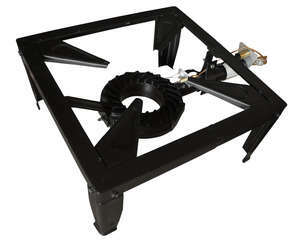 I Gas Direct can help if you are looking for a gas ring burner. If you are looking for a lpg boiling ring, we can fit your needs. These Boiling Rings are the perfect foker gas burners. 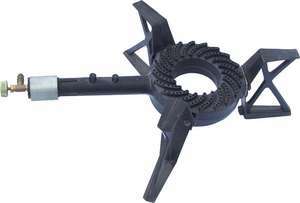 When it comes to finding a cast iron boiling ring, I Gas Direct is the place to go. Please contact us if you are searching for a camping gas ring or a foker gas burner, a member of our team will be in touch.